Christian Apologetics is the reasonable defense of the Christian worldview. Many would have you think that religious thought exists in a vacuum and runs absolutely contrary to reality. That is not true. It's not true. 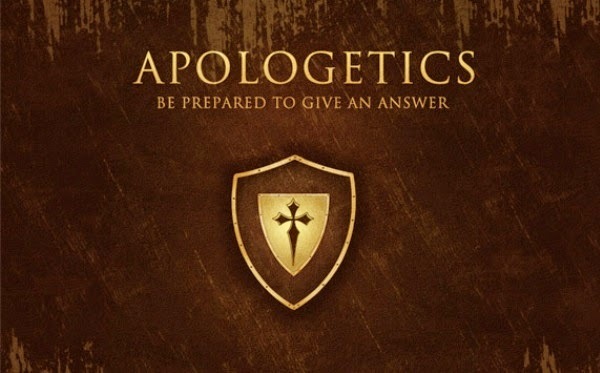 Christian apologetics is where a lot of the fire for my evangelistic spirit comes from. Because people simply don't know, and no one is telling them. The media is not telling them, the news is not telling them, the universities are not telling them, and the churches are absolutely not telling them the compelling reasons behind Christianity. And only the Christian apologists stand alone, like noble knights of old, against the onslaught of lies, half-truths, and deceptions perpetrated in public schools, universities, the sciences, and the public square. Naturalism is pushed in all those arenas, and Christian apologists stand to defend Christianity in a nation founded and lead forward by Christians. And now in the last 80 years, Christianity is quietly evicted, while eastern mysticism is explored, and naturalism dominates the landscape. These three doctors of various disciplines walk through the facts on three key topics: Answering the objections of the new atheists, the Naturalistic framework and it's effect on the USA, and the reliability of the documents composing the Christian Bible. Enjoy these video presentations on the truth of Christianity by some wonderful men of faith that stands the test of reason. Dr. Ravi Zacharias answers the objections of prominent atheists. Dr. Norman Geisler looks at the Bible and it's reliability. The Bible is true and correct when it says that all people are made in the image of God (Gen. 1:27 [ESV]). The image of God is a description by which the Bibles show how humanity is made in the likeness of God, in personality, in morality, in value, and in immortality (Elwell, 1984, p. 592). Though the image of God on man was distorted by the fall, it remained in tact and is restored when faith is placed in the redemptive work of Jesus Christ on the cross (Elwell, 1984, p. 593). 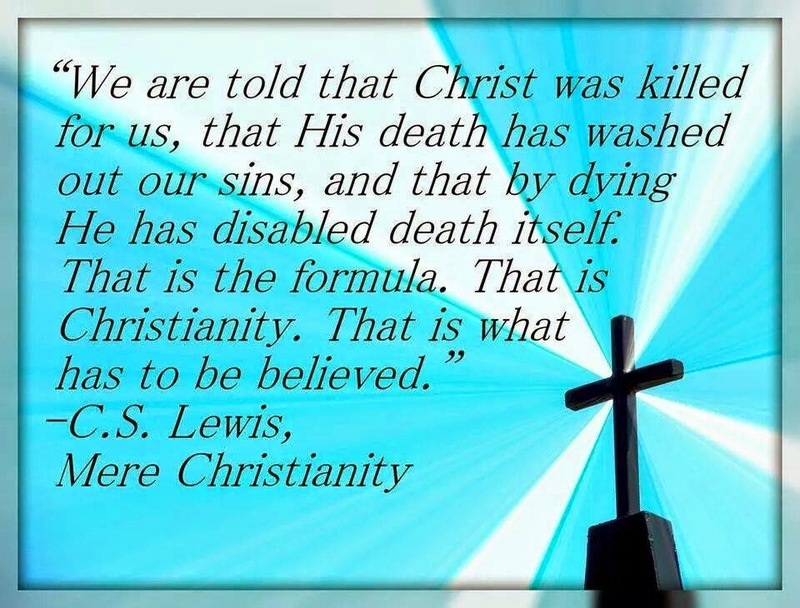 If I claim to be a Christian, and I do, then that belief must be systemically applied to every part of my life (Prov. 3:6 [ESV]). The language of the Bible is very clear when dealing with other human beings. Fellow humans are called brothers, sisters, and neighbors (Mark 12:31, Prov. 3:29, 1 John 3:15 [ESV]). Fellow members of the body of Christ are called family (Matt. 12:50 [ESV]). An important concept is that I love because God first loved me. 2 Corinthians 1:3-4 (ESV) well illustrates the passing of love from God to his followers and beyond; it says: “Blessed be the God and Father of our Lord Jesus Christ, the Father of mercies and God of all comfort, who comforts us in all our affliction, so that we may be able to comfort those who are in any affliction, with the comfort with which we ourselves are comforted by God.” People who are homeless, living on the street are greatly afflicted. I try to come along side them and offer them comfort in their afflictions. I do that by the grace of God, and because I am reminded how God comforted me in my afflictions in the past. No matter how low someone is, no matter what they've done, they do not “lose” the image of God which they were made in (Towns, 2008, p. 577). If I thought they were demons, or monsters or those destined for hell I would treat them as tax collectors, but I cannot say for certain where they are destined to end up, only God knows (Isa. 55:8 [ESV]). I only know that every human I meet is made in the image of God (Gen. 1:27 [ESV]). If God deserves respect and love for who he is, it then follows that those created in his image should be treated with love and respect as well. An important part of living out the image of God doctrine is found in the showing of mercy. Luke 6:36 (ESV) says,”Be merciful, even as your Father is merciful.” The fall had it's terrible effects on man and the image of God in man, but the image remains and therefore as God the Father has shown mercy on man by sending Christ Jesus to redeem sinners, I must also show incredible mercy and even grace to those lost drug addicted, alcoholic, abused, abusive, and mentally unstable I meet in my life (Towns, 2008, p. 577). Or as Rivera (2013) said,”Jesus calls us to a self-sacrificing love that pushes us past our comfort zone into a world of risk and danger” (Rivera, 2013, p. 53). If my Christian worldview is to be true, coherent and pervasive throughout all aspects of my life, it must go into my workplace, home life, nights out on the town, church life, and everywhere in between. Otherwise I'm living a life that will be systemically contradictory. To summarize, the doctrine of the image of God is best put into practice by going beyond myself, stepping out of my comfort zone, and helping those in need. But it also means treating all people in the world with dignity and respect, especially when it is difficult to do so. The doctrine of the image of God shows that humanity has great value, and it shows that every person is made for the purpose of being in relation to their creator, the one who made them (Ps. 100:3 [ESV]). The best way to live out the image of God doctrine in my chosen vocation is to humbly serve those I care for, treat them with dignity and respect, and love them as children of God, inviting them to know Jesus Christ the savior of all humanity (Phil. 2:1-11 [ESV]). Elwell, Walter A.. Evangelical Dictionary of Theology. Grand Rapids, Mich.: Baker Book House, 1984. Rivera, Ted. The Heart of Love: Obeying God's Two Great Commandments. Grand Rapids, Michigan: Zondervan, 2013. The Holy Bible: English Standard Version : the ESV Study Bible.. Wheaton, Ill.: Crossway Bibles, 2008. Towns, Elmer L.. Theology for Today. Mason, Ohio: Cengage Learning, 2008. 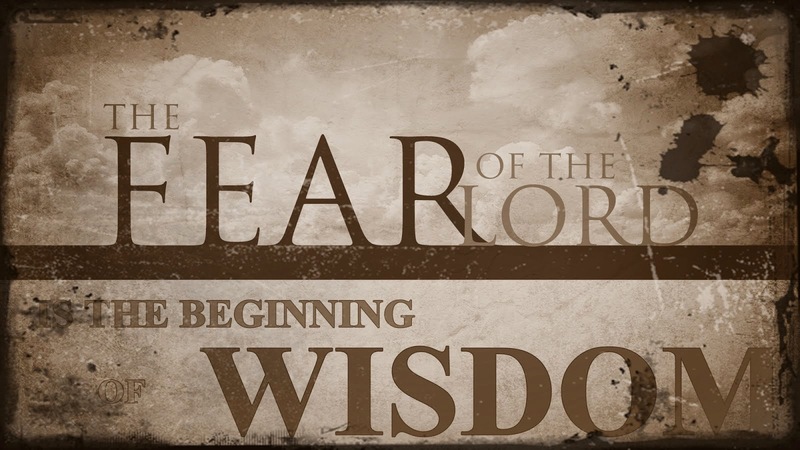 Chapter twenty of Proverbs is incredibly powerful, so powerful it will blow your mind. Let's have a look at wisdom written over 2,500 years ago that still holds entirely true to this very day. Alcohol is a slippery slope indeed, as God points out. Alcohol leads to brawls. Physical fights, or screaming matches I've found this to be extremely true. The modern society makes us believe we're in control, but the Christian warrior knows that temptation is powerful and addiction is a very real possibility, or as God calls it, slavery. It leads many astray. Of course we don't want to see that. So we often remain blind to it. But it's true. How many people do you know who spend the week working a job they hate and then drink heavily on weekends? I know many of such a description. That's just the tip of the ice berg. At least that crew can function, think of the alcoholics who lose everything, even their lives to drinking! The danger is imminent and real. I always thought.. it couldn't happen to me. It could. It did. When drink is my leader, I can't gather wisdom because I'm always pushing that rock up the same hill, drink, get more, drink, get more. It never ends. Simple, but true. Piss off the guy in charge and you're in trouble. Doesn't make it right, but it happens to be true. Don't rouse anger, very simple. Pick your battles wisely friends. Peace makers make it. Sometimes, especially at work, sometimes I know I'm right. I know for a fact. But I don't want to fight a battle. So I just let it slide. Sometimes it's better to just let it slide. Allow peace. Sometimes I need justice when justice isn't key. Sometimes peace is key. Only a fool would allow battles over minor issues. Sometimes even major issues, I just need to let it slide. Preserve the peace. Do you know how to draw the truth from the heart? Jesus had a very powerful method, he asked tons of questions and when people asked him questions, he asked them questions. Ask questions. Open people up within their own assumptions. Questions are rarely as honest as they seem. Everyone when asked is going to claim to be a truly loyal person, friend, lover, etc. But what's the truth? Integrity is one of those rare qualities that hardly exist today. Integrity is like a rumor in the world today, and even so in the church. Shocking, but true. The Godly do indeed walk with integrity, and we'll know it by the fruit a person produces. Observe and watch. Watch how a person interacts with their children. Watch how a Pastor treats his wife and coworkers, and especially his volunteers. Watch how he treats new people in the congregation. Watch actions, not so much words. Very quickly the "fruit" is revealed, and if it's rotten you've discovered character, integrity or lack thereof. Sometimes I wonder what I would be like today if my parents had raised me in integrity. I've been blessed none-the-less by the grace of God, through incredible mercy. Something I didn't deserve. But I wonder. If you walk in integrity your children will see that, and be blessed by it. Sit in silence, think, think, and think. Some of us spend too much time alone, but many of us spend too much time with people. It's only in quiet contemplation that we can distinguish in life, what is good? What is bad? And what is in between? None. None could ever say such a thing. But what I can say is that Jesus has cleansed my heart, therefore I am pure and freed from sin. But it begs another question in my mind.. suppose that every person is a sinner, and they are, I am, and once they meet Jesus Christ he were to say, now all your sins are forgiven, and he gives you a robe of white. But what if Jesus Christ then said, now as you walk through the world keep this robe utterly white and stainless, if you sin even once you will then burn in hell. How many people do you think would go to heaven? 0. Because after encountering Jesus, we're still sinners, saved by grace, but sinners we remain. Everyone continues sinning. Often immediately after I sin I assume well, now God's done with me. Not so. His grace is enough, even in the face of my daily sins. Me too! Like "tolerance." Liberals are really saying, you need to endorse and approve of my opinion on that issue, and if you don't it's an outrage and we're going to deliver you to justice by calling you a bigot, racist, homophobic, or sexist. And if you're a big name in a big company, we're going to get you fired. That's called a double standard. You need to tolerate and approve of my view, but I'm going to be very intolerant toward your view, because you're wrong and I'm right. That's not tolerance. It's not about what we say, it's about what we do. Ever seen a kid who is just a total snot? Even children are known by how they act. Not by what they say, but by what they do. All of us know right and wrong, we can see it clearly. And we know others by how they conduct their lives. 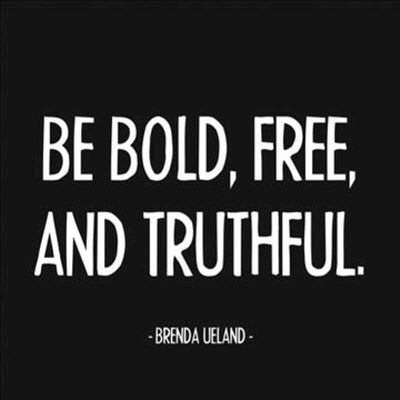 Very simple, yet always and forever true. No relative truth here, it's all objective and timeless in God's book. The secret to happiness is gratitude. Everything I am, everything I have, every good thing I have is a gift from God. Even more so, every bad thing I have or do or am or deal with it is also a gift from God. Because he works it to my good. And yours. So thank him for the pain too, because it's changing you into who you're suppose to be. A grateful child of God. Of course 8 hours a night is vital. But a lazy bum is gonna starve. It's true. Ever had this one? Someone is trying to buy something from you so they talk about all it's failings, what's wrong it, like a car, oh the tires are bald, oh this, oh that, so they can get a better price. Such manipulations, ugh! If I'm an idiot and I have gold, I'll probably spend it on stupid crap and end up with nothing. But if I have nothing and I gain wisdom, then I an acquire all the gold and rubies (money) I want, and once I have it I'll use it wisely and invest it wisely, and continue to gain more and more. 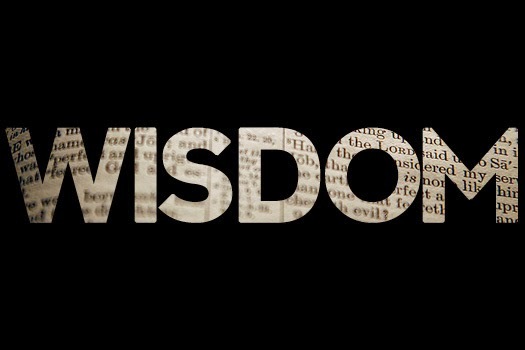 Wise words are more valuable than money without wisdom. When I was 14 I paid a girl, a stranger I randomly met at the mall 20 dollars to steal a video game for me from Gamestop. I was hanging with some mall rats I had just met and I was complaining about not having enough money for a new videogame I wanted. This shady character offered to steal it for me in exchange for 20 dollars. I eyed her suspiciously. She saw my suspicion and said, "What am I going to do? Just steal the money? Why would I do that?" And that statement convinced me, see, why would she do that? I gave her the money and she disappeared. Needless to say, I never saw that twenty dollars or the videogame. Why would she steal the money? Because shes a thief and a liar. But, so was I. I should've taken security, like her jacket or her government ID. Because she was a stranger. But more so, I shouldn't have been paying a stranger, a foreigner to be stealing for me! God's word is right. This is so true. It's a powerful rush to sleep with another man's wife. Or to steal from a grocery store. It's exciting and intense. But only in the moment. Later, it turns dark. Much like drinking to get drunk. Or using drugs. The first time you use a drug, wow, it's incredible. A very positive experience in terms of how great you feel. But over time it turns to gravel in the mouth. You end up chasing that first experience that was so great. And no matter what it always falls short. And eventually it starts to eat away at your soul and even your body, even to the point of taking your life. Stolen waters are always sweeter, until the poison takes effect. Theres a wait period. But it always happens. Sometimes we get a lot of bad advice on how to proceed forward, such as when Job was mourning over his pains and losses. But good counsel is vital. Don't underestimate outside input. I don't like my secrets being told around town. I've been around people who would puke every word to others, and if there wasn't anything juicy they'd just make stuff up, and pass that around. Oi vey. That's tough stuff. Mysterious and true. Anyone have any thoughts on this one? I'm not a father so I can't say much about this. One of those things I truly love about God's word is it constantly acknowledges and deals with the weakness of the human will and ability to make wise decisions. The world, psychology, society, they ignore that. Because they want me to buy, buy, buy and cave to all the temptations. It makes them money. Young people are stupid, including me, and we make bad decisions. If my parents died and left me money tomorrow, I can't say how well I would spend it. I'd probably want to just give it to a church somewhere or a charity as soon as possible just so someone else would have the money, before I took off on a spree or bought stupid crap that I don't need. Now that's not a pretty analysis. It doesn't make me look good to my readers, but it's an utterly honest analysis in sight of the Lord. And that's all that matters. Remember that one teachers, honesty and straightforwardness must trump appearances. When I'm angry, the last thing I want is to "let go and let God." That's when I wanna handle it myself. But it's precisely then that temporary emotions can cause big problems. Very big problems. Let God handle it. Long term handle it. And that's never fun.. because he might just introduce the guy who pissed me off to Jesus and then he'll never get his due! But oh well, God is correct let him handle it. Me too. I don't like injustice. Nobody does, aside from those who profit from it I suppose. It's kind of like when George W. Bush invaded Iraq it was so evil and the anti-war left protested constantly against Bush and his war mongering. They just never shut up about it. But once President Obama was elected, and he bombed Libya, escalated the war in Afghanistan, and waged a quiet drone war in Pakistan... crickets, the anti-war left was utterly silent. Because it was ok if a democrat did it, but it was wrong if a republican did it. That's what you call a double standard, and God detests a double standard. Another example.. in the 2012 republican primaries when the mainstream media ignored Ron Paul and focused all attention on Romney. The appearance of fair reporting, but an agenda is actually taking place. Or when Liberty University (the college I attend) endorsed a draft dodging Mormon CEO of a corrupt banking institution (Romney) and gave him an honorary doctorate degree, while me, a struggling college student has to pay 10s of thousands of dollars to painstakingly piece together a bachelors degree. Once again, double standard. Or when a corrupt banking institution called the HSBC conducts business in a criminal manner on a massive scale, billions of dollars, and they receive a very large fine, but no prison time, meanwhile a woman in my area of central wisconsin is caught stealing money, 10 thousand dollars or so, from her business and she is sent to prison for 8 years. Double standard, one set of rules for the upper class, another set of rules for the working class. Tyranny. God despises it. So do I. 2nd time it's been mentioned in Chapter 20 alone! God really doesn't like double standards. I know how he feels, double standards really, really get under my skin. Because it's so dishonest and make lies look like truth. Ugh! Seriously! Why am I so obsessed with getting it? Settle down kid, stop struggling. God's got you. Jesus atoned for you. You're producing fruit here and there. Take it easy, stop trying to understand every little thing. Trust God. God, if you get me out of this mess, I promise.. blah blah blah. If you've got a serious issue, don't just drive it off, run it over twice. Then back up over it again and make sure it's down permenantly, don't want that sucker getting up again and biting you. Double tap the problem. Sometimes I need two meetings in a day to stay good, I call it my double dose of recovery tuesday, friday. Go the extra mile when need be. God knows all. He sees my motives, even when I don't. It's not always about strength, authority, and justice. It's about love and mercy, and even grace. This is a very deep truth. I don't want to say a lot about it, because I can't say I'm comprehending the bottom line here. Glory seems an odd word to describe the strength of the young. I've checked multiple translations and it's almost always translated "glory." What could it mean? Verse 30 here is the reason I decided to write through Proverbs Chapter 20. 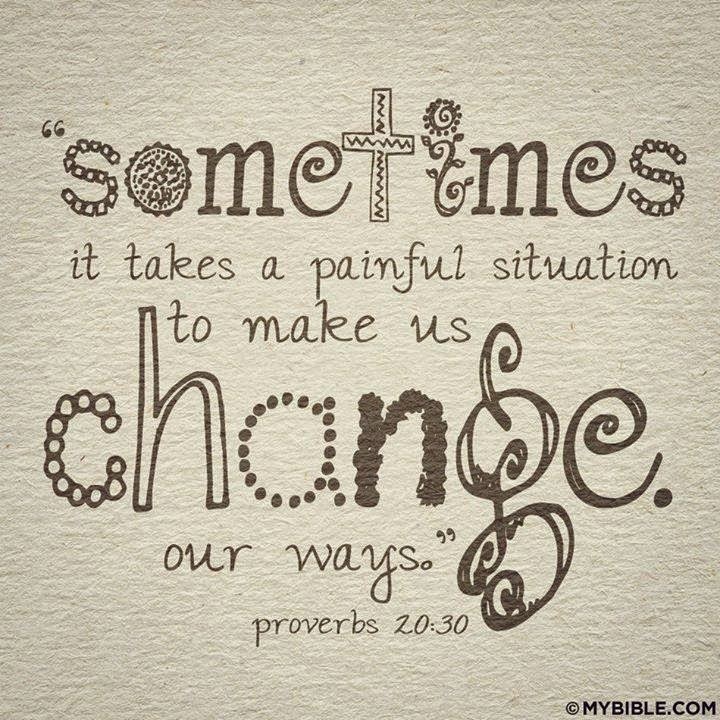 I saw it paraphrased "sometimes it takes a painful situation to make us change our ways." Wow. Wow and wow. How true is that one? I read that said, no way, it doesn't say that in there. I went onto Biblegateway.com and searched Proverbs 20:30 and sure enough, the principle is clear and it's definitely true: pain purifies the heart. I've found that to be true. Earlier in my life I was a fun junkie, a pleasure junkie, and I loved anything that felt good. We'd hang out with friends, and we'd just laugh and laugh, and make disturbing sexual jokes and laugh even more. Just on and on and on. Nothing of substance ever said or looked into, just laughing and more laughing. It wasn't all bad. Laughing is not evil. But when making perverse jokes, cussing, stealing, doing drugs, drinking, using people, and setting things on fire is all you do, it's become evil. Nothing is inherently evil really, synthetic heroin is useful for treatment of chronic pain, but when it's being injected into the arms of teenagers daily, it's become a very evil practice. Anyway, in retrospect, I was laughing my way to hell. It's a cliche, but it's just true, I'm sorry. It wasn't until I really endured pain, and a lot of it, that my questions and searching became meaningful. Otherwise it was just all fun and games. Nothing serious. 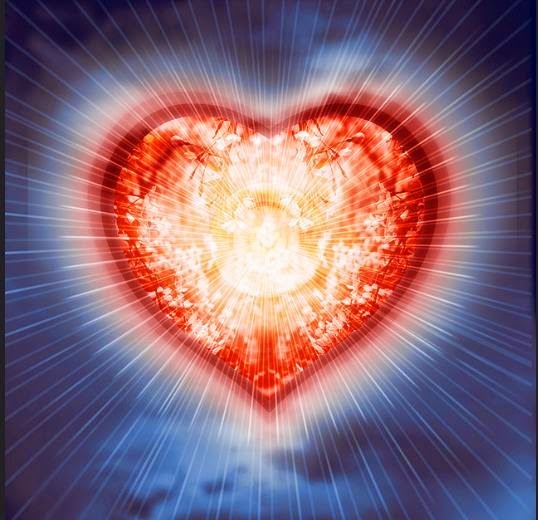 But when I was in jail in solitary confinement for two weeks, that really refines the meditations of the heart. I began to question and search. And eventually years later, after an incredible amount of pain, jail, more jail, probation, lost friends, dead relationships, family chaos, smashed cars, charges, three day comedowns, eventually being raped, and multiple suicide attempts, that I finally had a Bible in my hand daily and I was searching for the truth of life, the universe, and everything. Jesus Christ responded to a prayer at rock bottom, because pain had refined my search to the point of desperation, and a need for answers. In the end, Jesus Christ saved my life, sovereignty of God, and I called out completely without holding back, an inner scream, to the throne of God, for help, responsibility of man. The passion of Jesus Christ, his atoning suffering on the cross, that was the punishment, the pain that I deserved. My heart needed the purification. Jesus Christ's heart was already perfectly pure, yet he received the pain. 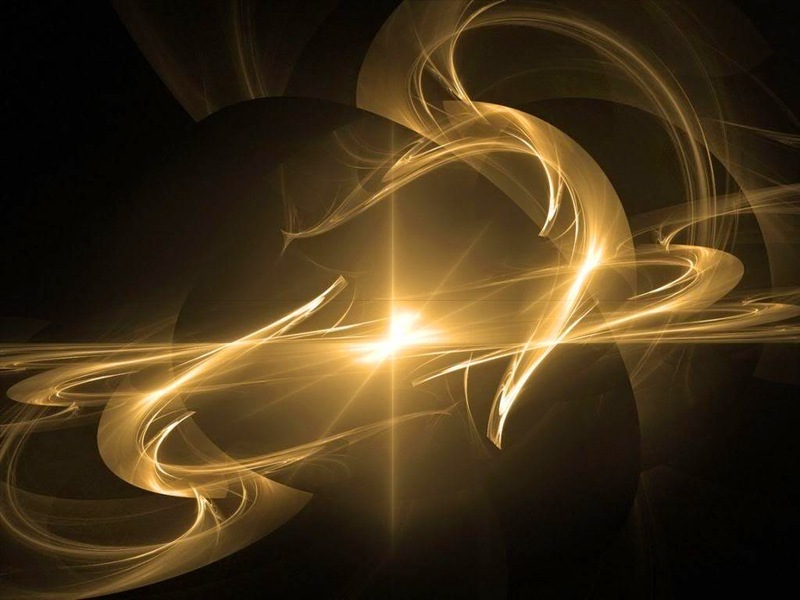 As a result, a double positive met a negative, and an inversion in reality occurred, a paradoxical blast of atonement flew out from the death of Jesus Christ the perfect on the cross. A supernova explosion of redemption went out, lingering before all people. I simply chose to accept it. So through pain my search was refined. Pain itself could not cleanse my heart by itself. Pain and punishment had to be heaped on my savior Jesus Christ, yet the paradox is his heart was already perfectly clean. The paradox at that moment of the sins of the world falling in punishment on a clean pure heart caused redemption, atonment, righteousness to flow out, and through the refining fire of pain in my life I was able to seek out that truth, find it in the Bible, and call out for help from my Lord Jesus Christ. Jesus saved me, and cleansed my heart, by receiving my punishment, and now his righteousness is the righteousness that cleansed my heart. Amen.